PACKING CARTON 15 Kg. Ap. As a wholesale Baby King Crab seafood supplier, we ship fresh frozen Baby King Crab legs worldwide! 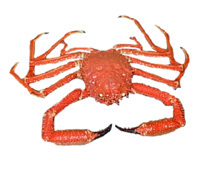 Request a wholesale quote for fresh King Crab today!